Ilaiyaraaja, the superstar composer of the Tamil film industry, debrahmanised music and devalourised hierarchical values attached to the use of various instruments with his musical genius. In his 75th year, it is time to give him the plaudits he richly deserves. Ilaiyaraaja, thy name spells magic. It would be fitting to call Ilaiyaraaja the musical genius of the millennium from India. For the average south Indian, particularly Tamilians, it’s hard to escape Ilaiyaraaja – it doesn’t matter if you live in India or belong to the global Tamil diaspora. A composer for more than a thousand films with a whopping number of 8,000 and more songs recorded, and more hits than anyone else in a career spanning four decades, Ilaiyaraaja is nothing short of a legend. Given the strong aural culture in the Tamil context, his songs and music often convey political messages and are an integral part of social events and ceremonies. They provide linguistic and regional pride as well as aesthetic pleasure. It’s clear to see how well his work is received – on social media, many have written about how his music has gives meaning to many emotions, from happiness to sorrow, trauma, excitement, dullness, tenderness, anger, and peace. Beyond the individual impact, his work, given the broader social context it has served, provides social meaning in terms of identity for communities and groups. Music legend Ilaiyaraaja stands out with his phenomenal achievements bringing in structural changes within the Tamil film world. Hailing from a humble background and rural hinterlands, he took elements of everyday life and brought them to cassettes and the screen and wove magic in the world of music. Born in Pannaipuram village in Theni district, he had a meteoric rise as a music composer. 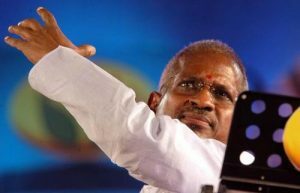 Ilaiyaraaja worked with famous music directors like M.S. Viswanathan, Salil Choudhury, G.K. Venkatesh and such, while simultaneously trying to compose his own music. Ilaiyaraaja now stands as a colossus in terms of being a cultural ambassador for Tamil culture. 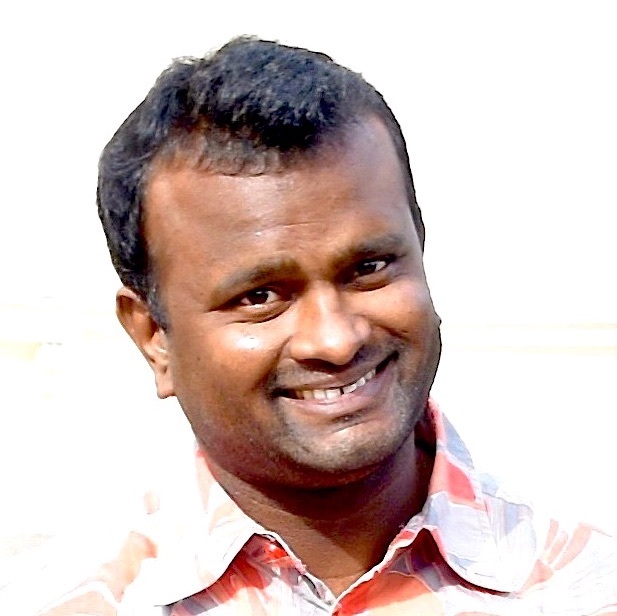 He has scored music for films in Tamil, Telugu, Kannada, Malayalam, Hindi and Marathi films. Ilaiyaraaja’s 75th birthday on June 2, 2018, which should have been a landmark event, went largely unnoticed because of the highly traumatic events in the form of state violence that took away 13 lives in the anti-Sterlite protests. In an attempt to fill that gap, this article discusses the music maestro’s contributions while trying to understand it in a sociological context. 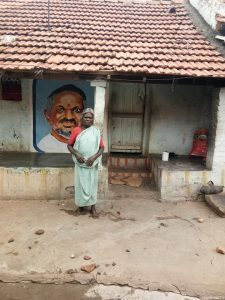 I look at Ilaiyaraaja’s music as a social phenomenon and the experience of listening to it or the act of consuming it in terms of a social fact. Ilaiyaraaja provided music that satisfied the expectations of large sections of society – which includes the working classes and the rural masses – and brought attention to their way of life and gave meaning to their emotions, desires, sorrows, anxieties and struggles. In the song Pattale Puthi Sonnar (through songs he expressed morality) in Karagattakaran in 1989, the lines “Ezhaikalum Yeval Adimaigalaai Iruppadhai Pada Sonnargal” (they asked me to sing how the poor were toiling and living as slaves), exemplify that. Ilaiyaraaja was in many ways a trendsetter. His entry into films in the late 1970s was an era of new ideas in Tamil cinema, a period which saw the breaking up of star system associated with the ageing stars, M.G. Ramachandran and Sivaji Ganesan. Dravidian cinema almost reached the level of saturation with its intent to homogenise culture and taste. However, the period between 1976 and 1985 ushered in a new wave with ‘partly realistic and anti-sentimental stories’. Ilaiyaraaja as a creator not only exemplified this era but stood as a catalyst bringing in phenomenal changes and one such big change was neo-nativism and representation of authentic rural lives. According to film historian Theodore Baskaran, “No other artiste’s career symbolises the popularity and hold of film music, as does Ilaiyaraaja’s”. For the Tamil diaspora, Ilaiyaraaja has emerged as a cultural force. Ilaiyaraaja’s innovative creations in music took the audience to a new world, a different listening experience, the songs in his debut film Annakili (1976) were authentically folksy and it changed the way the film music was composed. 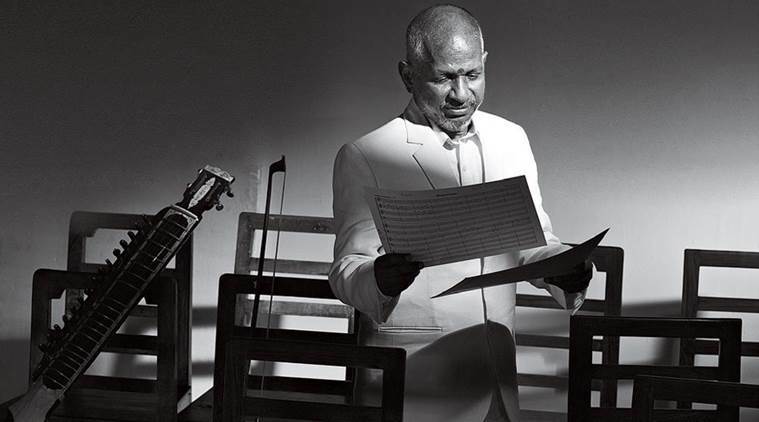 Ilaiyaraja revolutionised film music, for the first time we had what was a blend of Indian classical music, Western classical music and folk music of the Tamils. Another important contribution was his orchestration, which was hitherto unknown in Tamil cinema. In many films he has demonstrated his skill over Carnatic music, handling some difficult ragas in national award winning films (Kadhal Oviyam, 1982), (Sindhu Bhairavi, 1986), (Salangai Oli, 1985) and (Rudraveena, 1988). From a Carnatic music perspective, as pointed out by Carnatic singer T.M. Krishna, what makes Ilaiyaraaja interesting is the way he composed many tunes based on “Carnatic ragas and juxtaposed them with complex harmonies”. He gave examples of songs like “Poonkadhave” (Nizhalgal, 1980) and “Anandaragam” (Panneer Pushpangal, 1981) as reflecting such attempts, which was untried at this level in Indian film music. He says that though composers like M.S. Viswanathan and T.K. Ramamurthi had used Carnatic ragas as the basis for melodies in 1960s, their instrumentation did not have this Western classical approach. Ilaiyaraaja, on the other hand, was largely successful in bringing together unconnected elements from different musical traditions. Within a few years after his entry in the late 1970s, he had formed the nucleus of Tamil film industry and almost rose to become a superstar in his own right. Scholars working on South Asia and particularly on South India are always amazed about the importance of films and other forms of visual and aural cultures. One of the crucial elements of research in the land of the Tamils is to understand the significance of popular culture and mass movements. Sara Dickey’s classic Cinema and the Urban Poor in South India on the culture of fandom in Tamil Nadu stands out as an example. It paved the way for further such investigations in the cultural domain. MGR, Rajnikanth, Chiranjeevi all had a sway over large populations of people and became demigods of sorts, inspiring ethnographies of their influence and fan clubs. 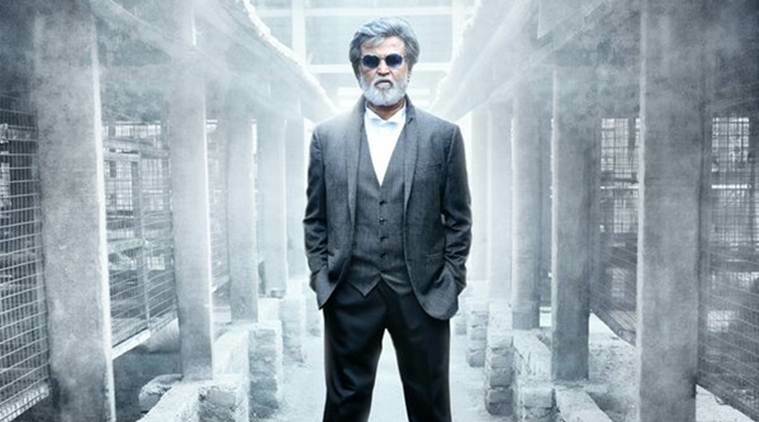 Rajinikanth in a still from his film Kabali. In states with a strong visual culture tradition and an ocularcentric discourse such a phenomenon might be expected, however, it is surprising in some sense to note that Ilaiyaraaja as a musician and a performer has a similar aura. Though there might not be fan clubs on the public domain or established practices of fandom he still has the sanctified presence that only film stars and charismatic politicians are guaranteed. Another name I could think of here is the late Tamil Nadu CM Karunanidhi. In the heydays of cinema hall culture, moviegoers clapping for title credits of heroes were not uncommon, but people did that maybe for the first time in Tamil film history when the name of Karunanidhi appeared on screens during the iconic film Parasakthi and they followed it for him later too. Likewise people did that during the 1970s and 1980s when Ilaiyaraaja’s name appeared on screens. Ilaiyaraaja as a superstar musician became a highly marketable commodity – producers and directors queued to book him. Ilaiyaraaja, who was making music for almost 40 films a year, regularly lived up to expectations and satiated the public’s thirst for easily comprehensible high quality music and made his mark as a central figure in the Tamil film industry. For close to three decades, he dominated the industry like no other; more than just a few films were made just keeping him in mind. Indicating a landmark, his every hundredth film was marked along with his name in the title credits – the 100th film was Moodupani in 1980, 400th was Nayakan in 1987 , the 500th Anjali in 1990 and 1000th film Tharai Thappattai in 2016. Numerous film lyrics were penned keeping him in mind, the song “Sangeetha Megam”, (Udhaya Geetham, 1985) had lines capturing his stardom, “Naalai En Geethame Engum Ulavume, Endrum Vizhave en Vaanile” (Tomorrow my tunes will rule the world and its always carnival under my sky), in Sathya (1988) the song Valaiyosai has a line “Ragangal Thaalangal Nooru Raja un Perum Sollum Paaru” (Hundreds of Ragas and Talas will spell thy name Raaja) and “Madai Thiranthu” (Nizhalgal, 1980) was written and filmed depicting his rise as a music composer. However the top on this list was the song “Raaja Rajadhi Raajan indha Raaja” (This king is not just a king but a king of kings) (Agni Natchathram, 1988) that was solely written for him. As pointed out above, Ilaiyaraaja brought in elements of his subjective experience into musical forms, which acted as cultural markers. His music brought in a hitherto unknown sense of collective and individual attachment to the cultural product and it cut across different classes of people and communities within the social and economic milieu. Ilaiyaraaja changed the rules of music composition bringing in new dimensions. He paved the way for a fresh, down-to-earth wave of creative artistic flavour tinged with elements of rural and folk practices. Though music of the previous generation had songs talking about the plight of the workers and peasants it did not provide them in a way it was experienced. Theodere Baskaran says that folk music has been used earlier, but quite functionally through classical music idiom. Ilaiyaraaja brought music in with its soul, with its earthy, rooty characteristics. He used authentic instruments like tharai and thappattai (Parai drums) that were traditionally considered polluting to provide an authentic musical experience. I would like to indicate two songs from my own experience as an ethnographer that have inspired left and Dalit activists in the state and are popularly used during protests and other events. First, the song “Manidha Manidha Ini Un Vizhigal Sivandhal Ulagam Vidiyum”, (The world awakens when your eyes turn red in rage) written by famous Tamil lyricist Vairamuthu in (Kann Sivanthal Mann Sivakkum, 1983), is a song of awakening and since has become the anthem of the Left in the Tamil Nadu featuring an essential part of their demonstrations and meetings and particularly to commemorate the May Day rallies and events. The song starts off with a haunting violin piece and slowly raises tempo to rebellious victory parade congruence, the picturisation provided a fillip to the feel of the song. Ilaiyaraaja’s later song “Ezhugave Padaigal Ezhugave” (Rise ye force Rise) (Mr. Bharath, 1986) penned by Vairamuthu also formed this oeuvre of popular demonstration and protest songs in Tamil Nadu. Another song that is a big hit and regular feature in all temple festivals and other commemorations in southern Tamil Nadu, organised by members of Devendra Kula Vellalar community, is the song “Poradada oru Vaallendhada Ini Vengaigalo Thoongadhada” (Herald a sword and fight, the Tigers wont be lull anymore) from the film Alai Osai (1985). This authentic folk song penned by lyricist Ilayabharathi, which celebrates and calls for anti-caste defiance, is often referred to as the ‘Devendra song’ and forms an integral part of identity building consciousness against the dominance of intermediate castes in the southern region. Incidentally, in a sense of historical antagonism between the Devendras and Thevars, it was Ilaiyaraaja’s infamous song “Potri Paadadi Pennae”, the genealogical praising of the Thevar caste in the film Thevar Magan (1992) which has ever since become the anthem of the Mukkulathors that is used in competition against the former. South Tamil Nadu has been historically a centre of various traditions of ballads, folklore, dance and drama and Ilaiyaraaja, who comes from that background, influenced the emergence of nativism and neo-nativism as genres in Tamil cinema. Filmmakers came up with a lot of village-centric subjects highly dependent on his music. Right from Annakili in 1976, Padhinaru Vayathinile in 1977, Rosappoo Ravikkaikari in 1980 and over the years a series of films with neo-nativist subject being produced giving us heroes like Ramarajan and Rajkiran, it wouldn’t be an exaggeration to say that the ‘village hero’ as a centre of filmic imagination was made possible by Ilaiyaraaja. To give one example of the rural life-reel connect; his earthy authentic folksy number “Pallakku Kuthiraiyile Bavani Varum Meenatchi” (Goddess Meenakshi sauntering on a palanquin horse) in 1990’s Periya Veetu Pannaikaaran wonderfully rendered by Malasiya Vasudevan is a quintessential feature of the annual Chithirai Festival in Madurai where lakhs of people gather. Highlighting much on this subaltern connect of Ilaiyaraaja’s contributions senior BBC journalist Sampath Kumar said that Ilaiyaraaja has taken music in different forms to the least initiated common people including slumdwellers, and his music has reached all irrespective of caste and class. His work brought respectability to folk music and popularised it while also taking classical Carnatic music to all. This statement, Pandian says, mobilises both Ilaiyaraaja’s competence in classical music as well as the ideology of uplift to recuperate him as part of the elite universe. However, over the years, unable to resist his growth, the Music Academy, the citadel of the tradition bound purism in music, invited Ilaiyaraaja to inaugurate their music festival in December 2017. Though the move was criticised, many within the institution supported it. This proved not only the institution’s acceptance of the maestro but also aids in mapping his rise to the elite universe of ‘pure classicism’. BGM (background music) as part of film music is a key element in supplementing the emotional content of a filmic narrative. One of Ilaiyaraaja’s greatest strengths and contributions is his BGM scores. For the first time in Indian film history, BGM was scored with utmost minutiae to synchronise with the visual images. Ilaiyaraaja has complete mastery over this aspect of musical composition. His acumen and knowledge on the aesthetics of cinema and understanding of the role of music in films are what set him apart. His BGMs augment the narrative in the most effective ways in musically expressing the unspoken thoughts and unseen implications that underlie the film’s narrative. They provide strength to the visual experience. Comparisons can be odious, but if Hollywood can be proud of Nino Rota, Bernard Herreman and Ennio Morricone, then the Tamil film world has Ilaiyaraaja. According to the website Taste of Cinema, he holds a place among these legends as one of the world’s top 25 accomplished film music composers. Ilaiyaraaja’s knowledge of cinema is evident in his background scores, which add a new dimension to it. For example, his films like 1978’s Mullum Malarum, Uthiripookal in 1979, Johnny in 1980, Moodupani in 1980, Moondram Pirai in 1983, Salangai Oli in 1985, Mudhal Mariyadhai in 1985, Kadalora Kavithaigal in 1986, Aan Paavam in 1986, Padikkathavan in 1986, Poovizhi Vaasalile in 1987, Nayagan in 1987, Geethanjali in 1988, Captain Prabhakaran in 1990, Idhayam in 1991, Thalapathi in 1991, Thevar Magan in 1992, Pithamagan in 2003, are films that stand out for their re-recording, providing a great lift to the viewing experience and since has been individually remembered for that. It was no surprise that he bagged the first national award constituted for the background music score for the Malayalam movie Pazhassi Raja in 2009. There are YouTube channels with a great collection of playlist of Ilaiyaraaja’s BGMs, something that not many film music composers in India can be proud of. During Ilaiyaraaja’s reign, there were a string of movies that were specially made keeping in mind his songs and background scores, films with protagonists as stage singers emerged as a new phenomenon then. Films with little known stars like Mohan (who eventually was referred as ‘Mike Mohan’ for his numerous silver jubilee films as stage singer), Murali and later Ramarajan as a rural folk singer were running to full houses. Ilaiyaraaja played a key role in the superstardom of Rajnikanth and Kamal Hassan giving them one major hit after another for almost two decades. He gave life to numerous budding talents in the Tamil film industry and made heroes out of lesser-known stars like, Mohan, Murali, Ramarajan and Rajkiran who despite their histrionic skills are largely remembered through the songs in their films. Almost all the major directors in the Tamil film industry right from the late 1970s have worked with Ilaiyaraaja and utilised his musical genius. One of the interesting facts during the days of ‘cassette culture’ was using compact cassette with varying playback lengths normally ’60’ and ‘90’ and getting them recorded with our own list of songs. Though not legal it was largely the practice then. A few owners of those recording centres said that songs like “Kanne Kalaimane” (Moondram Pirai, 1983), “Ilaiya Nila Pozhigiradhe” (Payanangal Mudivathillai, 1982) “Ilamai Enum Poongatru” (Pagalil Oru Iravu, 1980), “Nilave Vaa” (Mouna Ragam, 1986), “Poongathu Thirumbuma” (Mudhal Mariyadhai, 1985) were recorded on a daily basis for various music lovers. Ilaiyaraaja’s non-film albums (How to Name It?, 1986), (Nothing But Wind, 1988) (Thiruvasagam: A Crossover, 2005) were critically acclaimed. When I recently met cultural anthropologist Amanda Weidman, who specialises on the cultures of music, she told me that the special thing about Ilaiyaraaja’s music is his brilliant use of the flute as a key instrument in his compositions. His Nothing But Wind (1988) featuring the classical flutist Hariprasad Chaurasia exemplifies that. Another dimension of Ilaiyaraaja as a musician is his singing skills. Ilaiyaraaja in his own words was a singer by accident, but his voice became synonymous with providing a rustic but evocative feel. He went on to sing numerous title songs leading to a growing sentiment in the industry that if he sings the title song the film will be a hit. His title songs in Malaiyur Mambattiyan (1983), Karimedu Karuvayan (1985), Enga Ooru Pattukkaran (1987) gave such a rustic feel. Ilaiyaraja’s two title songs stand out as haunting lullabies and even to this day are remembered with a great sense of attachment by music lovers, “Aey Indha Poongatru Thalatta” (Uthiri Pookal, 1979) and “Thenpandi Cheemaiyile Therodum Veedhiyile” (Nayakan, 1987). Through songs like this he redefined the existing grammar of vocal representation that associated melody and pathos with certain singers and brought his own voice to change that norm. Despite singing highly melodious duet numbers like “Ponnoviyam” (Kazhugu, 1980) and “Poo Malaiye Thol Serava” (Pagal Nilavu, 1985), his voice was somehow associated with a melancholic voice of pathos invoking highly emotional background songs independent of the characters in the movie and also mother sentiment songs matching perfectly with voices like that of actors like Rajkiran. However, in 1995, he came up with a composition in his own voice that left many music lovers in awe, “Thendral Vandhu Theendum Podhu” (Avatharam, 1995) giving musical meaning to a romance between a blind lady and a struggling street drama artiste, a soul stirring masterpiece which evokes meaning to the best of human emotions. The digital era has brought in numerous changes, first, more than ever before the ubiquity of music in everyday life is real and it’s happening. Enjoying music has not only become portable but technological developments meant that tiny palm-filling devices have ensured its ubiquity. One of the things that gave a lot of anxious moments to Ilaiyaraaja’s fans was the entry of a number of newcomers such as A.R. Rahman, who largely became the faces of a new digital transformation in the field of film music that happened during the early 2000s. This was also the time film watching and the listening experience was undergoing a huge transformation, there was a decline in the ‘cassette culture’ and was replaced by CDs and MP3 formats. The video hosting service YouTube also became the most important platform for music. However, as a great exponent of western classical music, Carnatic music, folk and his strength in conducting manual orchestration, Ilaiyaraaja stood his ground despite the digital wave. In fact the emergence of New Media and digital era did nothing but cement his place as the most celebrated Indian musician beyond generations. Various forms of new media and social media have got him much closer to his fans and are making music lovers feel his genius in a more complete way. A basic browsing on YouTube will reveal that only a very few could match Ilaiyaraja among all the musicians in India to have various playlists categorising each aspect of musical composition, a special section on just BGMs alone, a special playlist on lullabies, on love songs, on sad songs, on folk songs, on kuthu paatu (rustic beats) on melodies and more. Even today Ilaiyaraaja’s theme music and songs remain the most sought after when it comes to ‘hello tunes’ and ‘caller tunes.’ His Mouna Ragam (1986) and Nayakan (1987) film theme music are still big hits among today’s youth. True to the popular adage that ‘class is permanent’; it is his ability to flourish in spite of these numerous changes that makes Ilaiyaraaja a phenomenon, unlike any other music composer in Indian cinema. There are criticisms that Ilaiyaraaja is inimical to his underclass and rural origins and has delivered aesthetically refined sophisticated music largely catering to middle classes. This criticism is the one that is most commonly cited against members of the subaltern classes who have risen to shine in their respective fields and Ilaiyaraaja is not an exception here. The burden of getting typecast on one hand and the aspiration to scale greater heights within the elite universe of music which is heavily hierarchical can drag people down, but what Ilaiyaraaja has achieved so far is remarkable. As pointed out by T.M. Krishna, had Ilaiyaraaja’s music remained just subaltern, he would not have reached this level of superstardom. One has to keep in mind that Ilaiyaraaja is capable of providing a rich piece of classical composition like Rudra Veena (1988), Sindhu Bhairavi (1986) and Thiruvasagam (2005) and at the same time can provide not only highly folksy music in films like Karagattakaran (1989) and Villupaatukkaran (1992) but also provide rustic subaltern music in Tharai Thappattai (2016) and songs like “Podhuvaga En Manasu Thangam” (1980) and “Annathe Aadurar” (Aboorva Sagotharargal, 1988), where a lot of Parai (traditionally considered to be polluting) drumming is used. Another criticism is that given his theist beliefs, he refused to score music for the biopic on social reformer Periyar E.V. Ramasamy. This is the most absurd and lazy criticism to be levelled against him. He has composed music for many films with rationalist themes and songs for characters propagating rationalist ideas. To give an example, the song “Kadavul Illada” (There is No God) in 1997’s Kadavul and the song for the shelved Kamal Hassan project Marudha Nayagam have lines like “Madham Kondu Vandhadhu Saathi indrum Manushana Thorathudhu Manu Sonna Needhi” (Religion brought caste, Manu’s Law is still chasing/ruining the humans). It was out of differences with the film’s director that he refused to score music for the film. We have to remember that Ilaiyaraaja, with his musical genius, in fact debrahmanised music and devalourised hierarchical values attached to music with his use of various instruments. He has paved the way for a new generation of musical composers, but remains at the very pinnacle of his profession. In his 75th year, it is time to give him the plaudits he richly deserves.